I don't know about you but I'm always trying to find ways to organize our stuff. Whether it's clothes, office supplies, hats and mitts or diapers...it feels good to have a space for everything tucked away. Wicker Emporium has featured my mood board I did this week in efforts to get creative with storage. 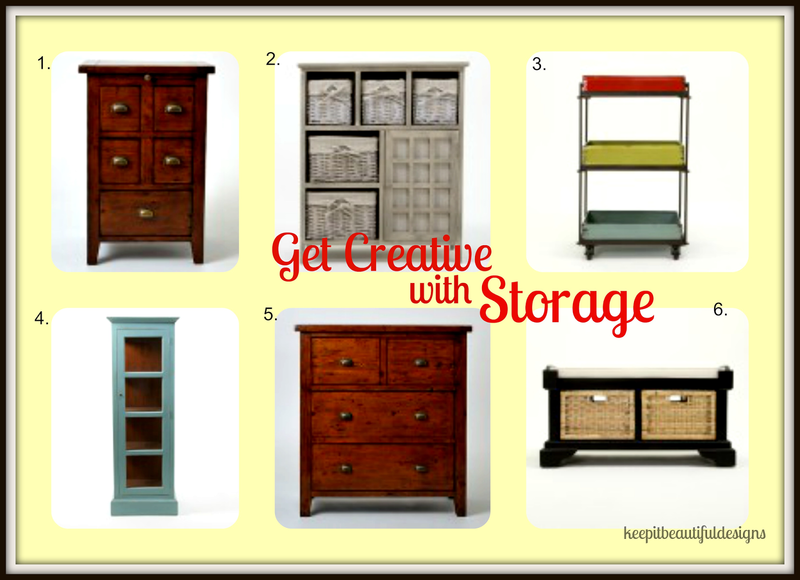 There are lots of storage options out there and they can look beautiful in your home. When furnishing kids' rooms, look for side tables with multiple drawers. I don't know about you but my kids love to collect trinkets from inside and out. Having drawers in their side tables allows them to hide their treasures and keep them in a safe place. How pretty would that robin's egg blue cabinet look in a bathroom? A perfect spot to store your towels and toiletries. Lovely. Want to know how a dresser can be used for more than just keeping your socks, undies and t-shirts organized? Head over to the Wicker Emporium website and see my blog post.